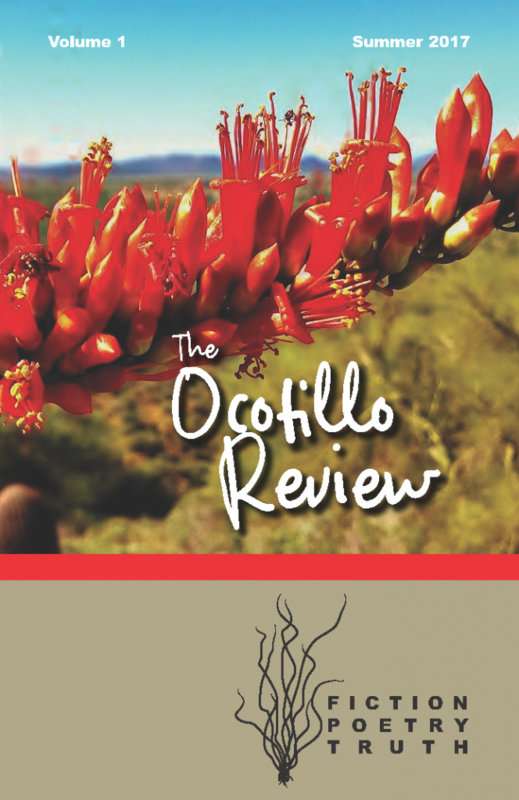 The Ocotillo Review seeks to publish diverse voices from underserved communities along side established writers of Poetry, Short Fiction, And Narrative Nonfiction. Although we don’t shy away from experimental or unusual approaches to literature, our goal is to promote finely crafted writing with an expressive and meaningful voice. We pay authors for the work accepted for publication. SHORT FICTION should be one story totaling 1000-4200 words not counting the title. Novel excerpts are allowed providing they can stand alone without extraneous notation. POETRY – Include 3 to 5 poems in one document. Lines should be single spaced with double-spacing between stanzas. Start each poem on a new page. Limit each poem to 60 lines. Submissions for Volume 2 are currently open through October 31st.